Too much success can stunt the mind. That can apply to the collective mind of a company just as easily as it can a music artist struggling with that difficult second album. And back in the late ‘60s, Volkswagen was having exactly this kind of problem with its Beetle. 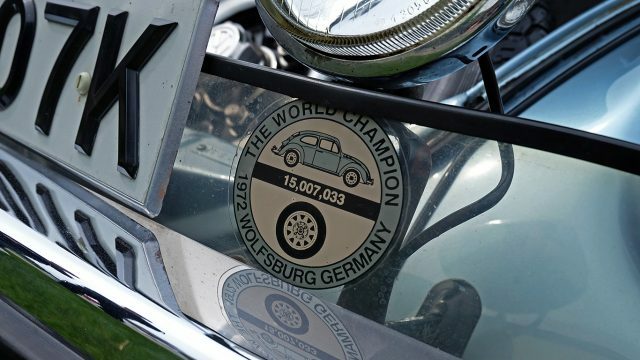 Not that this famous car was anywhere near reaching its popularity peak in 1967, when a 30% sales slump in its native Germany prompted VW’s management to take the challenge of replacing it a whole lot more seriously. Although it hadn’t been ignoring the task entirely. During that same year VW revealed a whole heap of prototypes to a press becoming increasingly critical at the absence of a Beetle replacement. 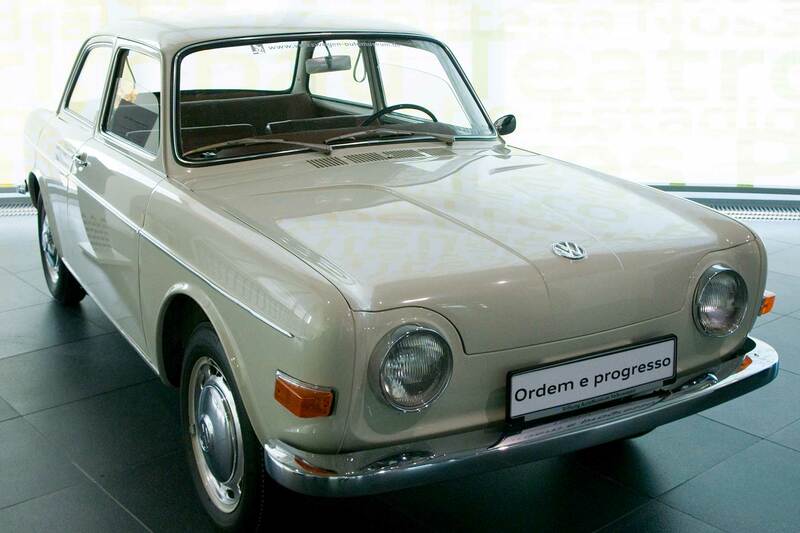 In fact, VW had developed no less than 70 potential successors since 1952, but none had made production and all shared the same basic rear-engine layout. Some had been under development for as long as five years before being abandoned, others were simply styling mock-ups. And what they all pointed to, apart from the waste of millions of pounds-worth of r&d money, was the lack of a solid idea for replacing a car that by 1967, had been in quantity production for 22 years, having started life before WW2. The ‘Strength-through-Joy’ KdF-wagen was commissioned by one Adolf Hitler from Ferdinand Porsche, the Fuhrer keen for the KdF-wagen to become the affordable car of the people. And it actually became that very thing, though not entirely in the way Hitler had envisaged. 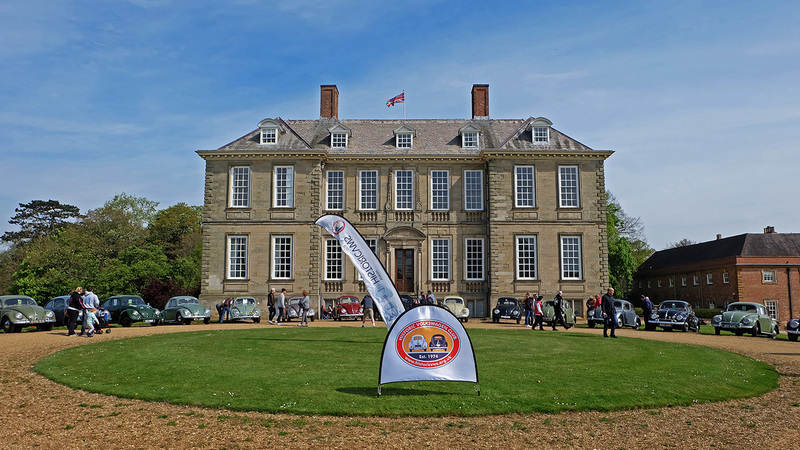 A few were produced before and during the conflict, the war-damaged Wolfsburg plant restarted in 1945 by British Army officer and engineer Major Ivan Hirst. 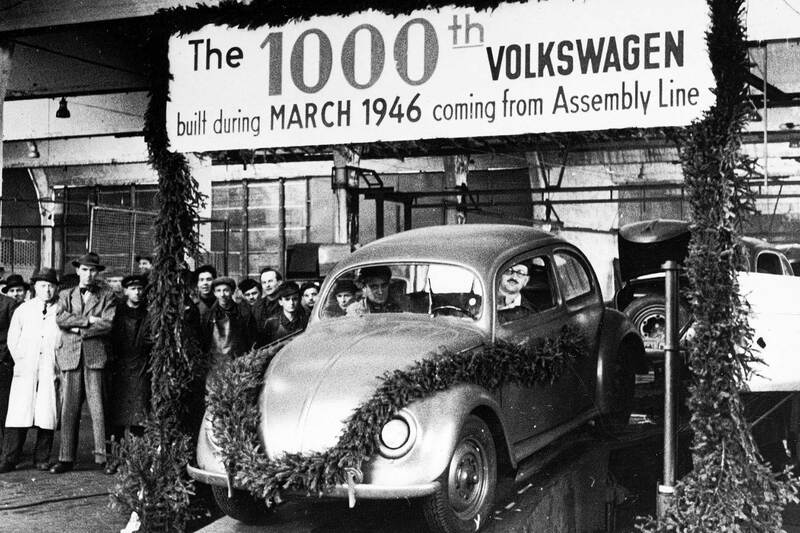 In 1948 he handed over the running of the plant to Heinz Nordhoff, an inspirational ex-Opel manager who expanded production and successfully established excellent sales and service networks for VW overseas, most notably the US where for well over a decade, the Beetle became part of the fabric of North American life. 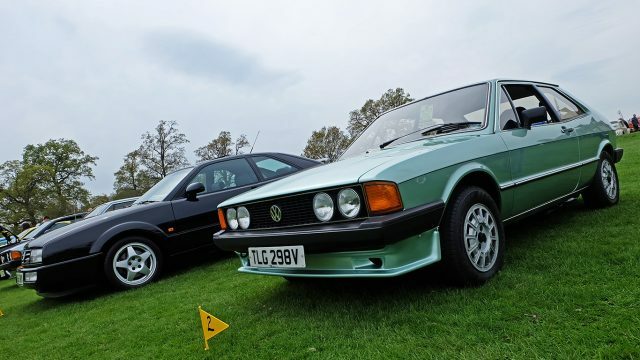 In fact, it was not the only car that Wolfsburg was making. 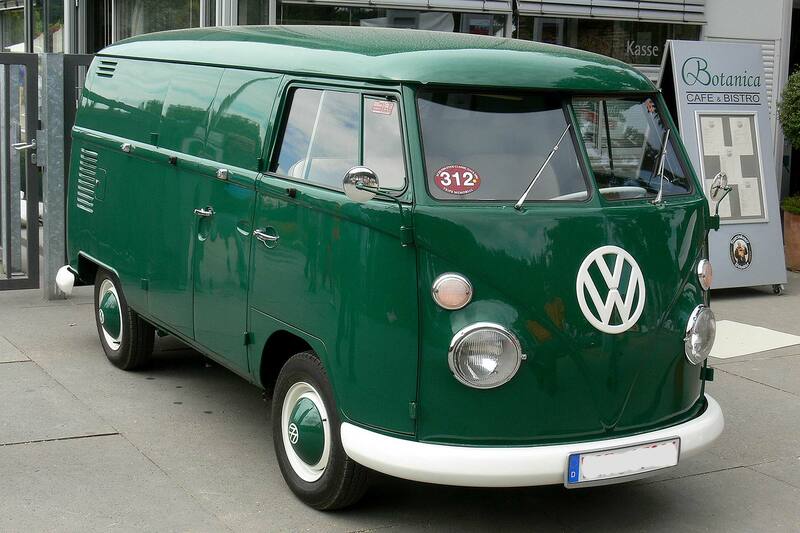 Volkswagen Type 1, as the Beetle was officially known, was joined by Volkswagen Type 2 (pictured above) in 1949, this the almost equally famous Transporter van and its Kombi brother. 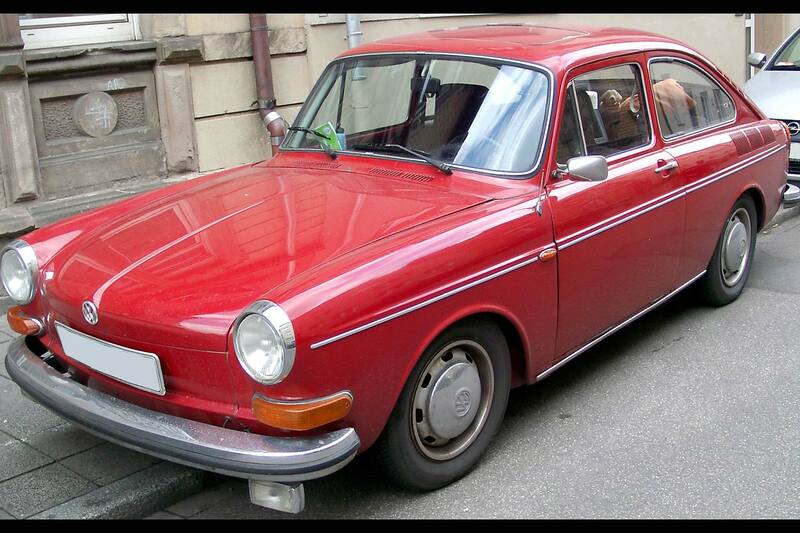 And in 1961 came the Volkswagen 1500 saloon (pictured above). 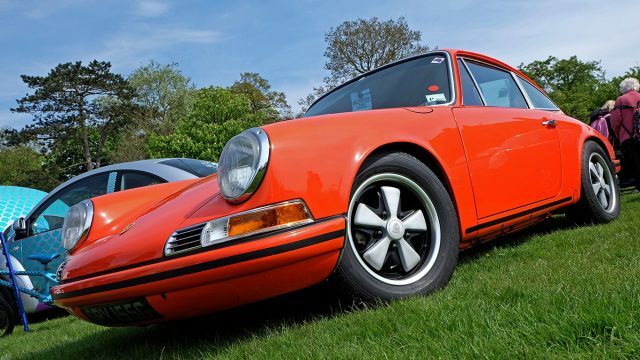 It was still rear-engined and air-cooled, like a Beetle, still a two-door and still largely uninterested in ploughing a straight line on a breezy day. 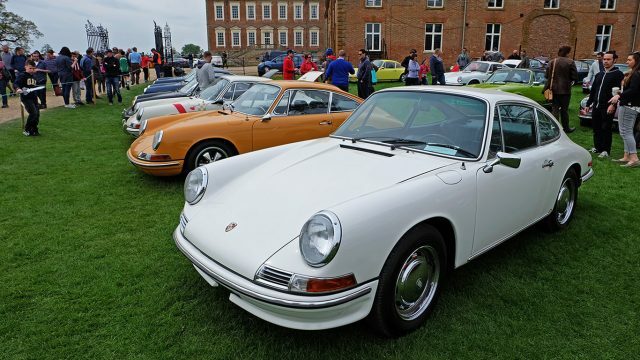 Despite this the 1500 did well, the Fastback and Variant estate versions helping it to sales of over three million between 1961-73. 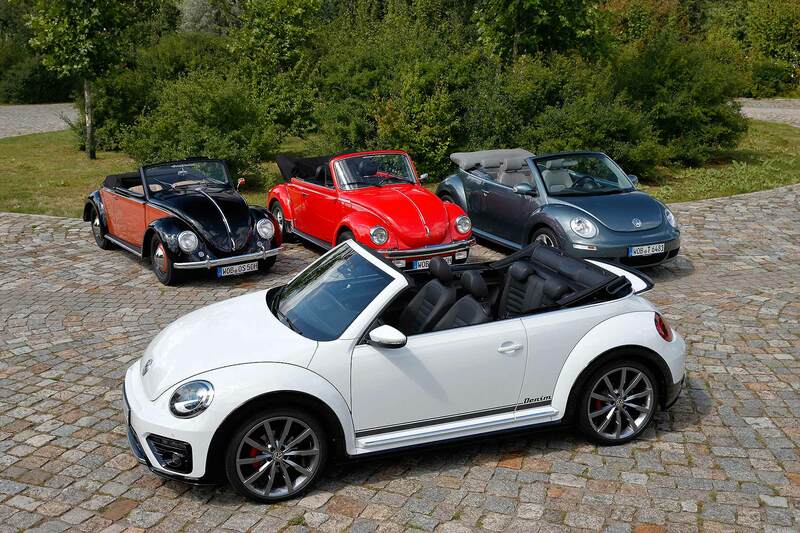 But the 1500 wasn’t a replacement for the Beetle. Another prototype came close to doing the job in 1960, when project EA97 got to the point where the production machinery to build it was being installed, and the first 100 pilot-build cars had been assembled. 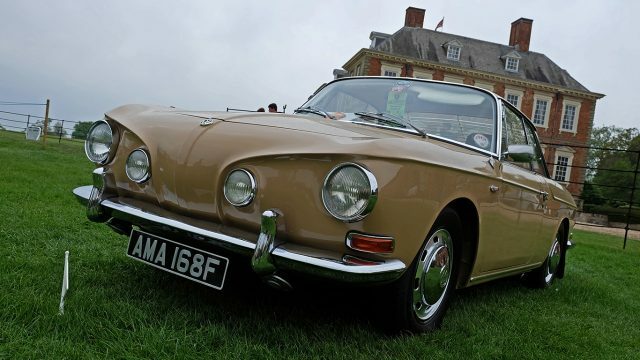 A rear-engined two-door saloon, it was powered by an 1100cc engine and would have competed with the Hillman Imp, Renault 8, Simca 1000, NSU Prinz and Fiat 850, several of these big sellers. 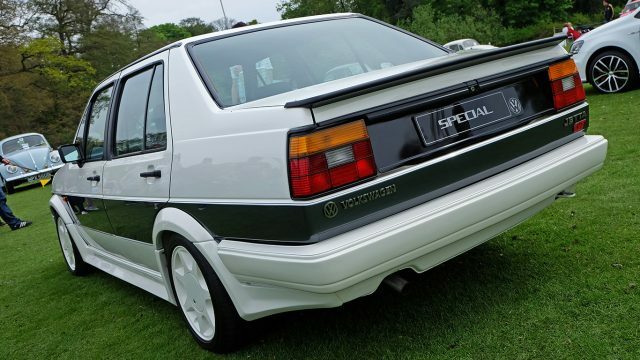 But as author Russell Hayes’ excellent book ‘The Volkswagen Golf Story’ explains, EA97 was reckoned to be too close to the 1500 saloon – they looked pretty similar, besides – and now that VW had bought the Auto Union company, acquiring the Audi 60 saloon in the process, it suddenly had another in-house competitor. So EA97 was cancelled at the last minute, losing VW yet more millions. But it was making so much money from the Beetle that this mattered a lot less than it would have done for other car companies. Its next attempt came in the gruesome shape of the 1968 Volkswagen 411, another air-cooled rear-engined car, this time with four doors. 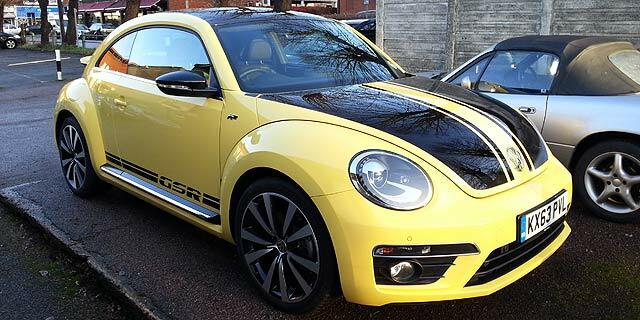 Its styling was as tortured as the VW management’s efforts to solve their new Beetle problem, this ugly beast living four short years and selling only 266,000 copies in the process. By now mild desperation was setting in, Nordhoff’s replacement Kurt Lotz arriving to a largely empty new model cupboard, 411 apart, making him particularly eager for some quick-fix solutions. 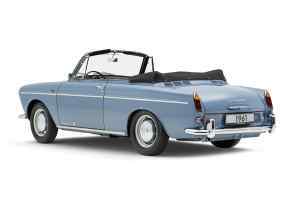 One of those came with Volkswagen’s acquisition of NSU, makers of the little Prinz and the radical rotary-engined Ro80 executive saloon. 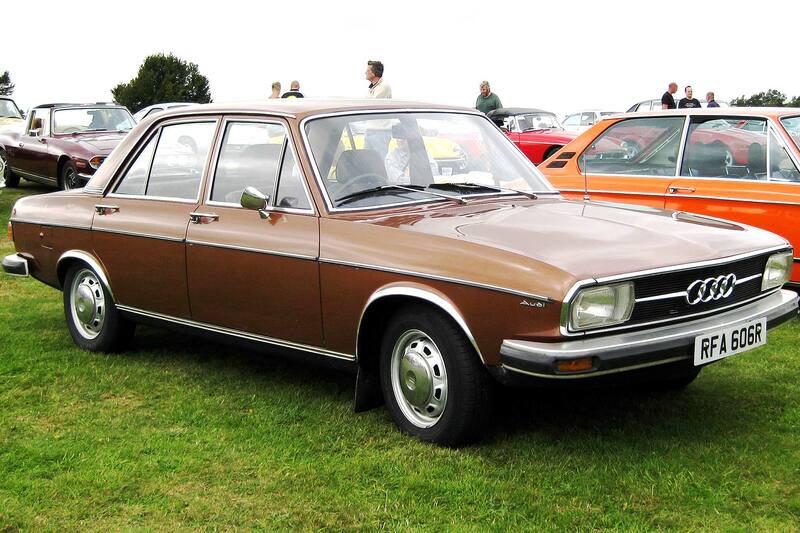 Sitting between these two was a yet-to-be launched modern, front-wheel drive saloon. 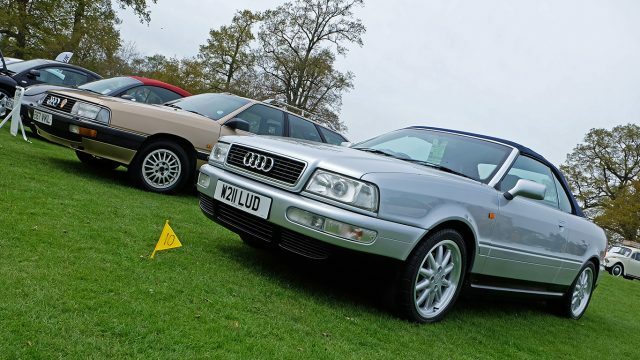 Crisply styled and glassy, it was a vast improvement on the 411, if far from as gaze-freezingly handsome as the futuristic Ro80, whose design legacy can still be seen in the Audi saloons of today. 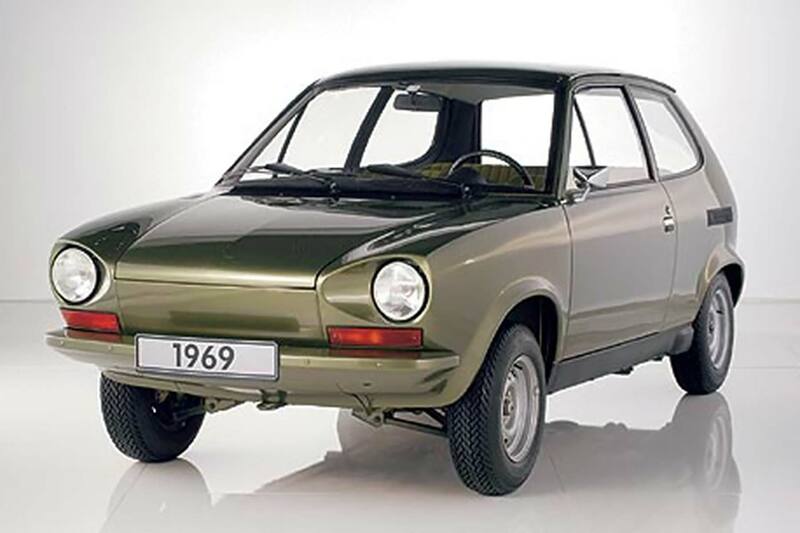 Nevertheless, an eager Volkswagen took this NSU design over, relabelled it the VW K70 (pictured above) and optimistically built a new factory capable of making it at the rate of 500 per day. But like many hastily conceived plans in the motor industry, the K70 soon hit problems. It was expensive to build, sharing almost no parts with other cars in the group, expensive to buy for the same reason and rust-prone. 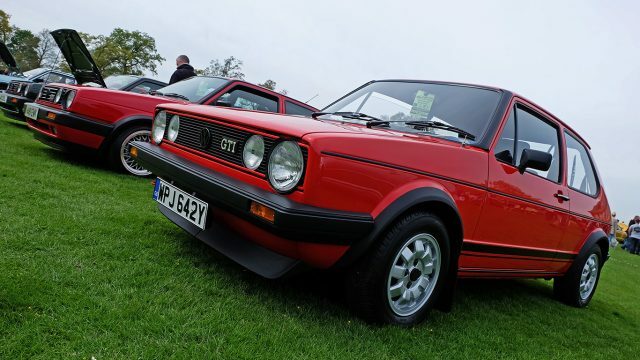 That slowed, sales, as did VW’s activities within other parts of its empire. 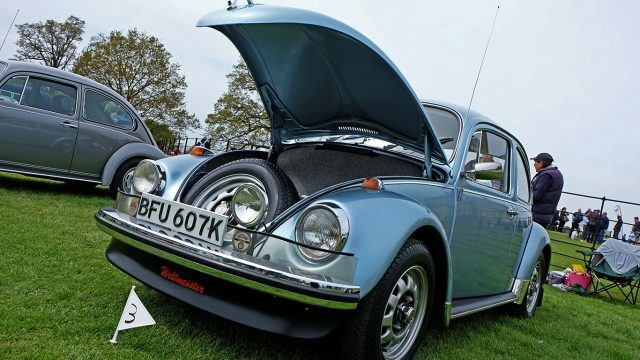 When it bought Audi in the mid ‘60s it was simply to get its hands on another factory in which to build Beetles, because it couldn’t keep up with demand. 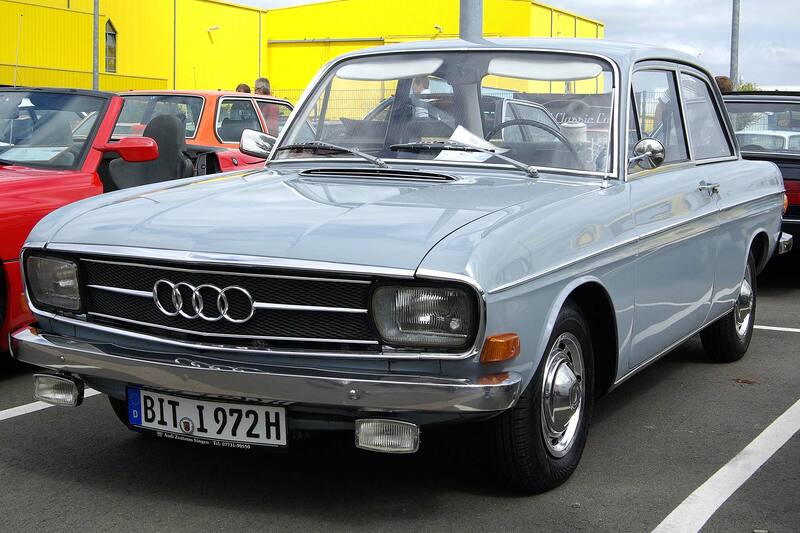 Audi’s small 60 saloon (pictured above) continued to be made, but product development director Ludwig Kraus was instructed to halt new model development. Instead he disobeyed, developing a new saloon in secret. 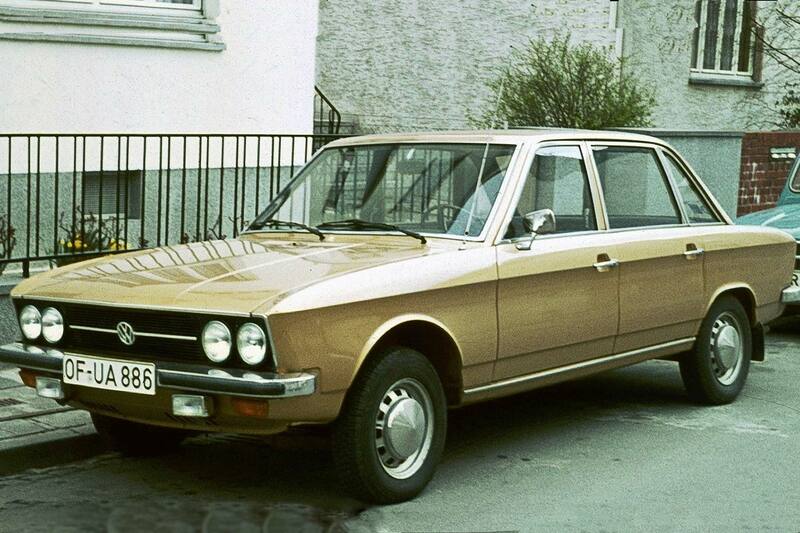 It was eventually revealed to VW’s management, who got over their shock and annoyance to approve what became the 1969 Audi 100, pictured above. 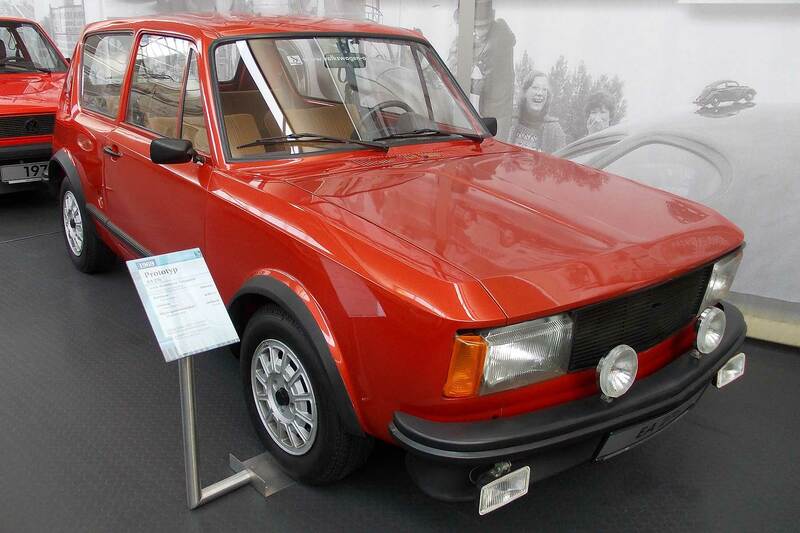 That car was a big hit, and would eventually keep a money-losing VW afloat, but in the meantime it seriously undermined the appeal of the less than stylish K70 that came a year later, giving VW yet another failure. If the K70 was a piece of misfiring opportunism, the EA266 prototype (pictured above) was the company’s main attempt to properly replace the Beetle. 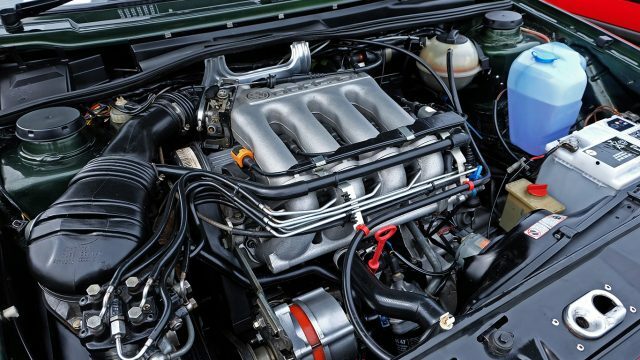 In fact, it was developed mostly by Porsche, whose engineers produced a hatchback with a water-cooled four cylinder that lay flat beneath the rear seats, to drive a gearbox and differential behind it. 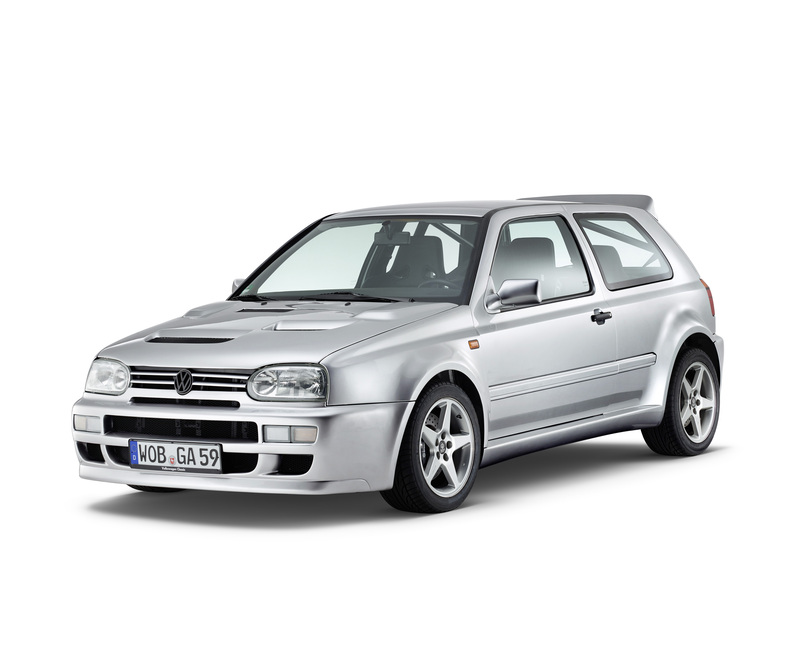 In effect, this was a mid-engined hatchback, and development again advanced to the point of tooling being ordered. 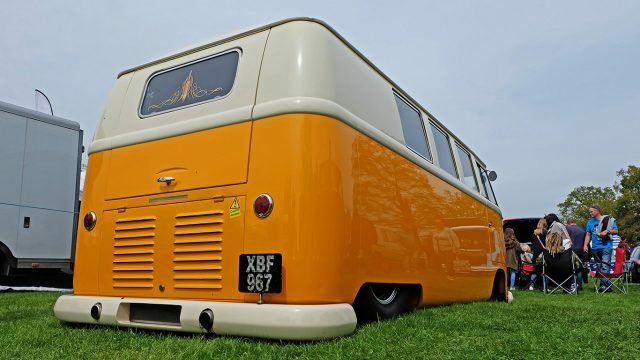 But despite its sporty mid-engined layout and Porsche parentage, EA266 apparently had handling issues, besides continuously perfuming its cabin with oily engine vapours via an access panel beneath a rear seat that was expected to get progressively grubbier as mechanics removed it to service the engine. 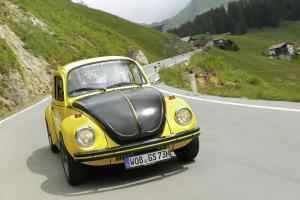 Nevertheless, EA266 was part of a major management review of VW’s new model plans in May 1969, along with a new front-wheel drive hatchback from Audi, its four-cylinder engine mounted longitudinally, and a similar prototype from VW itself whose front wheels were propelled by a Beetle engine. 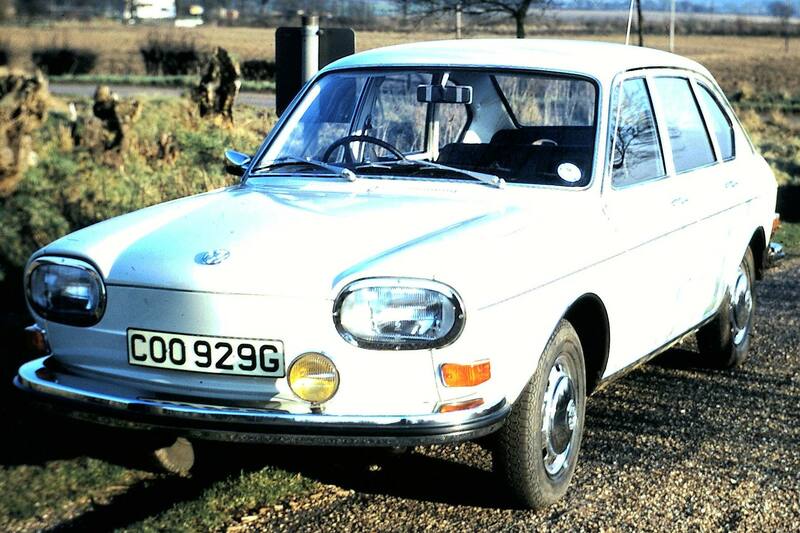 It was this car, codenamed EA235, that would eventually lead to the VW Golf that became the Beetle’s real successor. 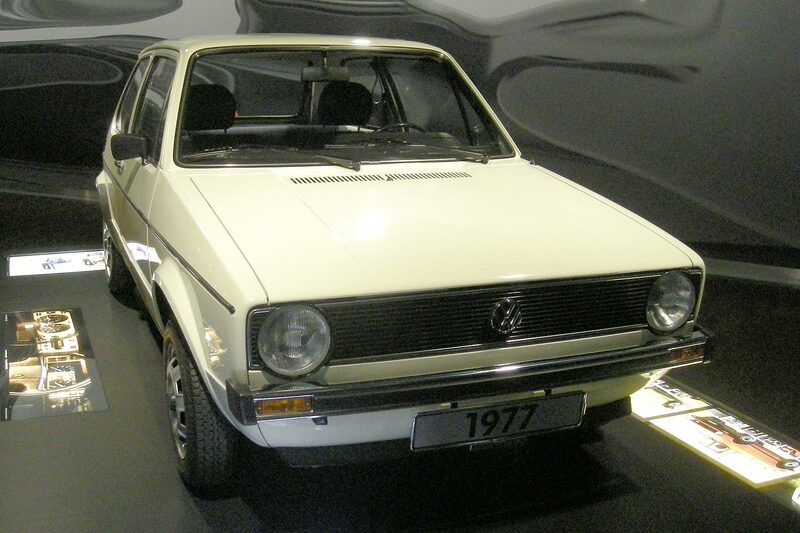 A variation of it, codenamed EA276 (pictured above), can be found in Volkswagen’s museum. At last: enter the VW Golf! Neither prototype was a beauty, but one of VW boss Lotz’s best decisions during his brief and troubled career at the helm was to instruct Giorgetto Giugiaro’s ItalDesign to style the car that would become the Golf, pictured in launch guise above. 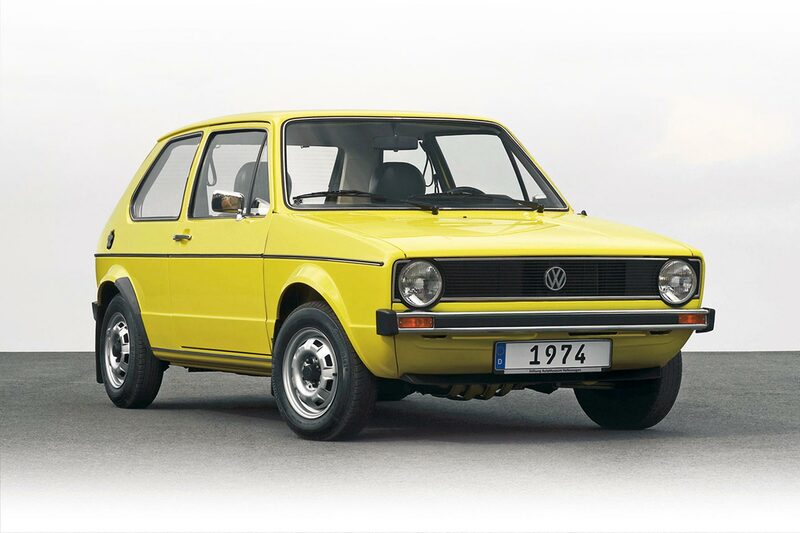 It would be released in 1974, at the end of seven troubled years that had produced one of the ugliest family cars of the ‘60s in the 411, had proved the riskiness of opportunism with the K70 and ultimately, threatened the very existence of VW itself. 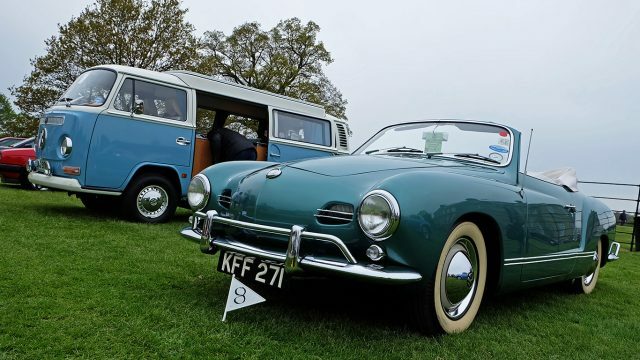 And that’s without including all the abandoned prototypes built between 1952 and 1967, VW beginning its long and painful quest for a successor when the post-war Beetle was only seven years old. 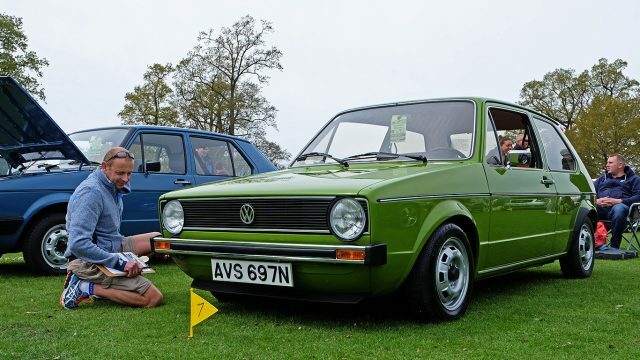 But the lesson was learnt – many of us can count our lives out in Golfs, VW now building the seventh version of this car since 1974. And this multi-brand group is a long way from being dependent on only one model, the mighty Golf one of a number of big sellers. There is a footnote here. 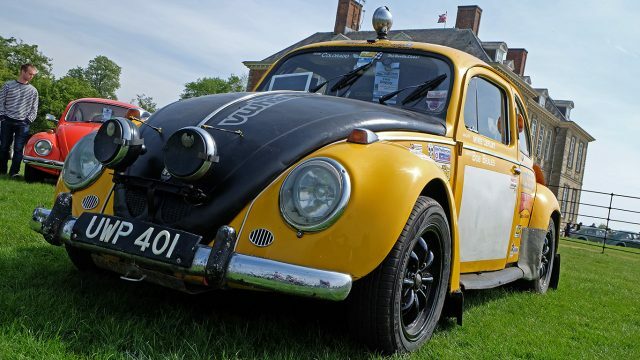 For decades, the original Beetle was moribund. It was still produced in South America for an increasingly diminishing market, but eventually faded away for good in 2003. 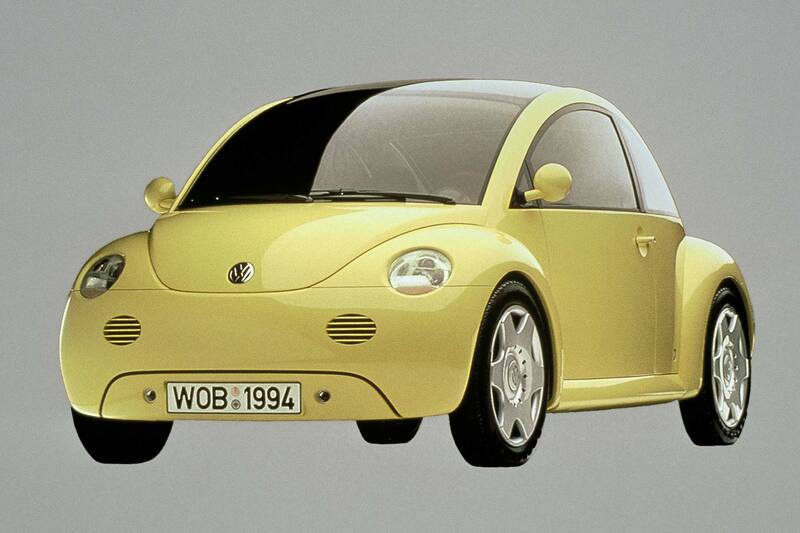 Then came the craze for nostalgia, one arguably accelerated by Volkswagen, which showed a ‘modern’ concept version of the original Beetle in 1994, called Concept One. The world swooned. Production for the Californian-designed concept was approved. 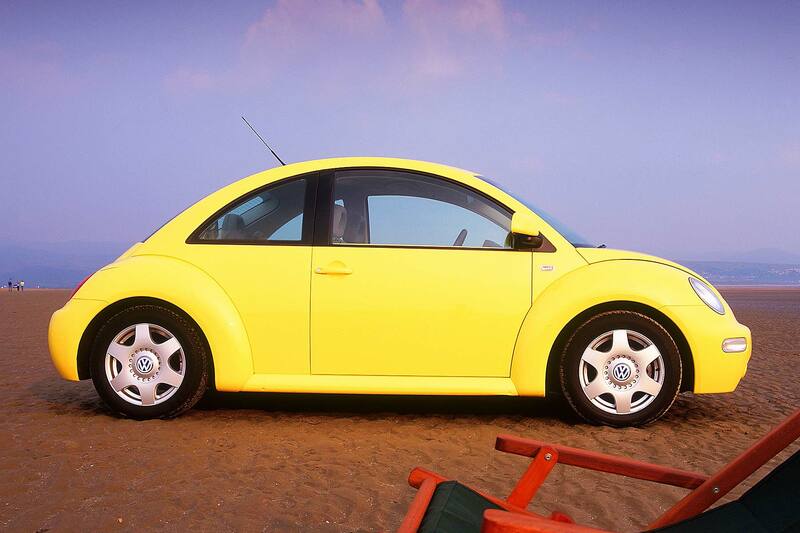 The New Beetle was introduced in 1998. 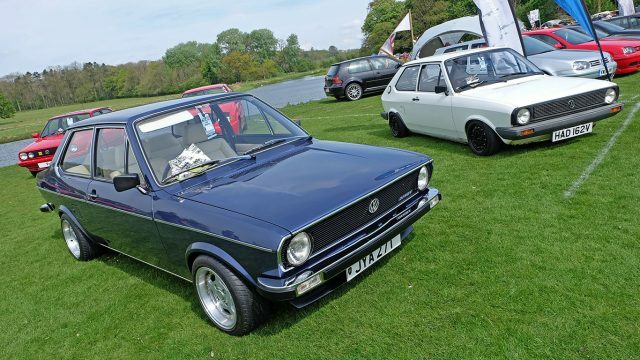 Ironically, it was based on the platform of the car that sealed its fate back in the 70s, the Volkswagen Golf, but this did ensure it drove well. 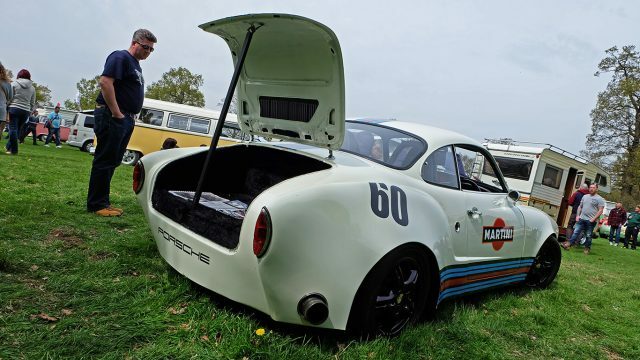 Built in Mexico, it was shamelessly retro, taking the original cues of the Beetle and exaggerating them with cartoon-like emphasis: the separate wings, round headlamps and tail lamps, rounded roofline and chunky running boards. The interior was retro-inspired too. This meant packaging was dreadful, with a tiny boot and cramped, rear seats, but few at the time seemed to mind, because it was so bold. It even came with a vase on the dashboard. 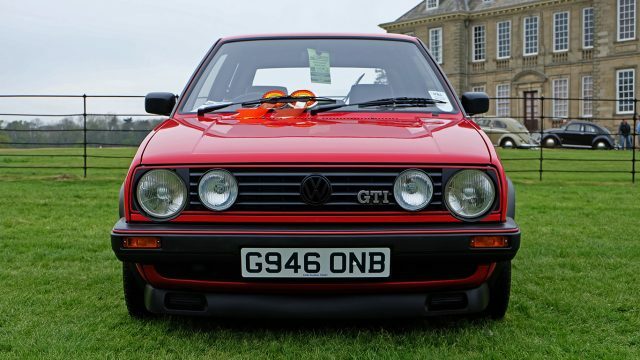 Sales clearly convinced Volkswagen it was worth replacing. 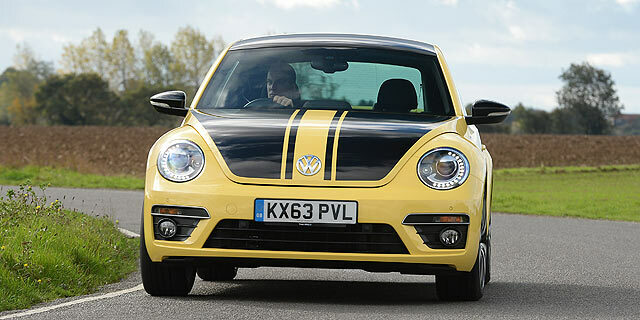 An all-new car arrived in 2011, with more of a fastback profile to the roofline and a more sophisticated, more practical interior – but still clearly a Beetle. But sales of this second remake never quite took off. And, like the original, soon started to go the wrong way. 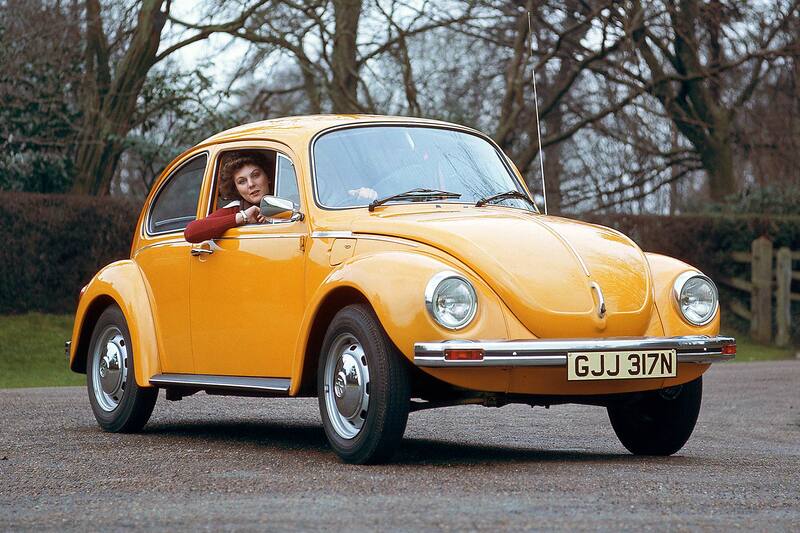 It seemed the world had moved on: a retro Beetle was nice as a passing fad, but didn’t seem to have staying power. Rumours had thus circulated for years that this model would be the final Beetle – its second coming would come to an end. On September 13 2018, it was confirmed. 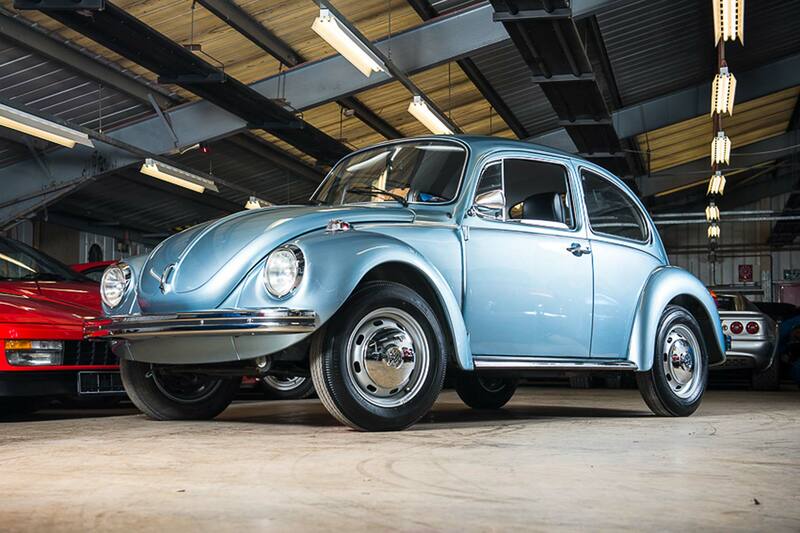 The beetle will end production in 2019, 21 years after it returned from the great scrapyard in the sky. 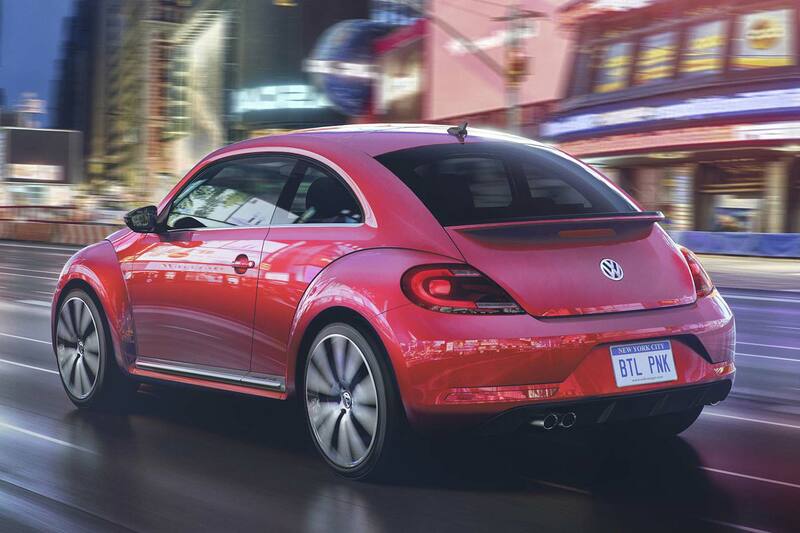 Volkswagen of America has introduced the first-ever production Beetle to be painted pink – and, with one eye on social media, has decided to call it #pinkbeetle. Yes, that’s #pinkbeetle. With the hashtag. Making it the world’s first car to be named after its own social media hashtag. Officially painted in Fresh Fuchsia Metallic, the pink #pinkbeetle is based on the concept car seen at the 2015 New York Auto Show. It’ll be sold both as a hardtop and Convertible, with U.S. customers already being told stocks will be limited. #pinkbeetle will use a 170hp 1.8-litre TSI motor, six-speed DSG and feature 17-inch alloys on the hardtop, 18″s on the Convertible. Xenon headlights, LED running lights, gloss black door mirrors and black running boards are standard on all. 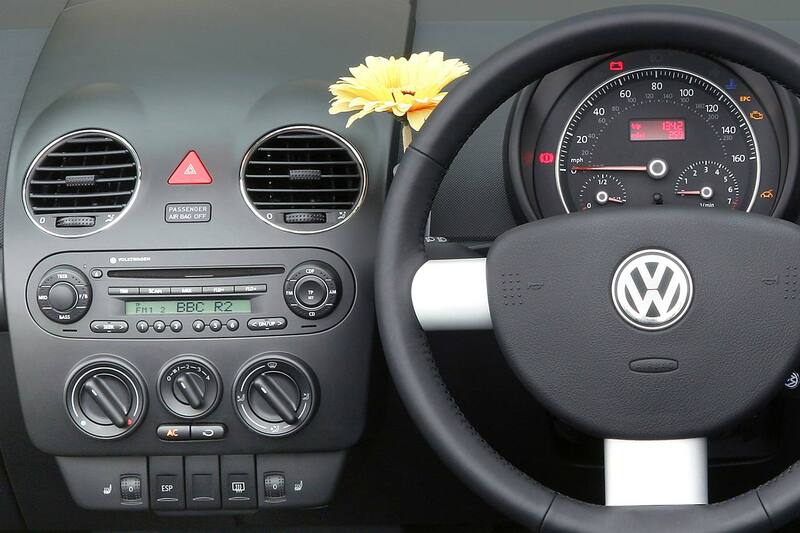 Inside, the #pinkbeetle has GTI-style tartan (or plaid in VW-speak) seats, only with a pink theme rather than red. There’s pink accenting for the dash too, and 6.3-inch touchscreen infotainment with pink-zoom. Sorry, pinch-zoom. 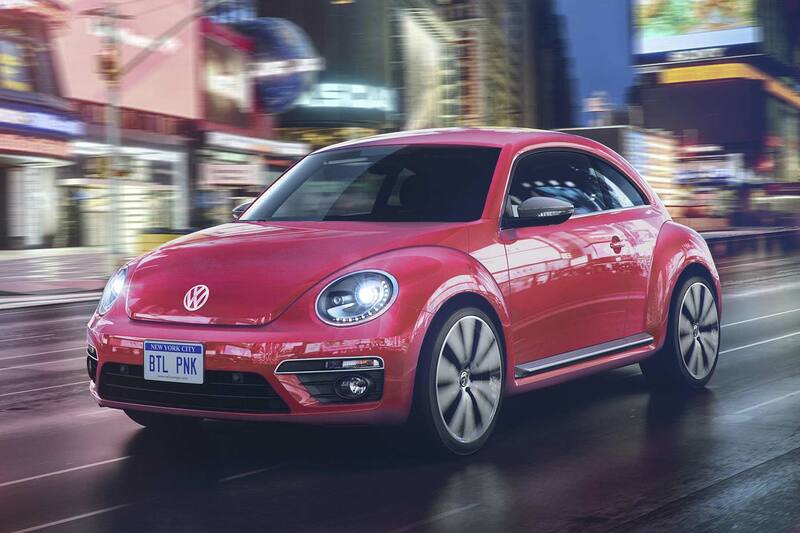 Volkswagen is very excited by the #pinkbeetle. It is “poised to become an immediate automotive trending topic,” says the firm, ambitiously. It goes on sale this autumn and, if you don’t live in North America but are still desperate to own a #pinkbeetle, best get tweeting, Facebooking and Snapchatting your demands. 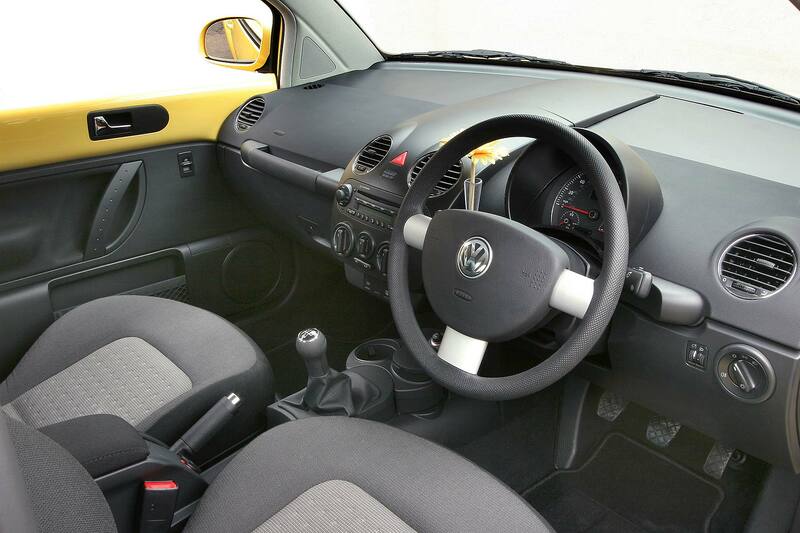 Last week I wrote a First 5 Minutes about the Volkswagen Beetle GSR. I wasn’t very complimentary about its appearance. 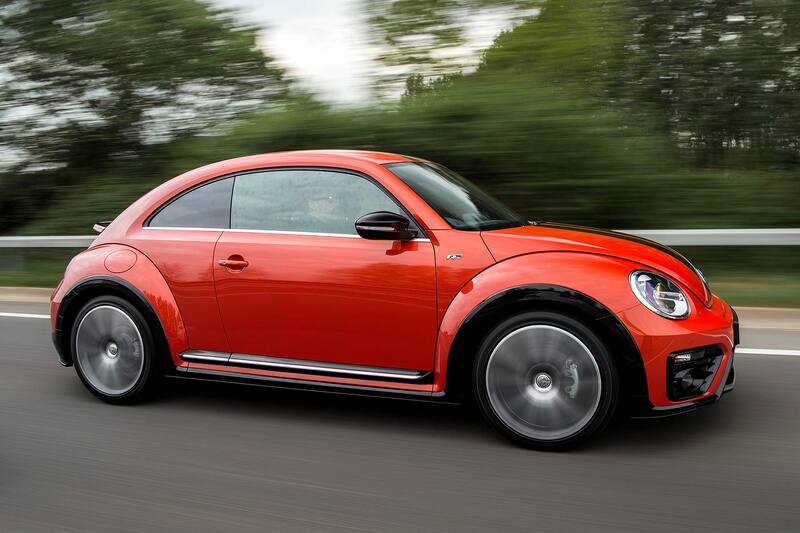 This is the limited edition Volkswagen Beetle GSR. Just 100 examples are coming to the UK. I booked the thing in for review and it still took me by surprise when I saw it in the car park.